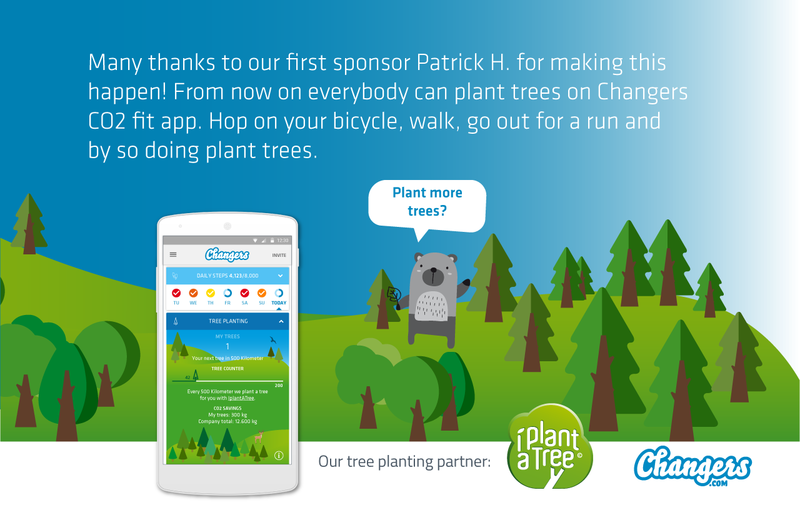 We are very happy to finally give all users of the Changers CO2 fit app the opportunity to plant trees. We have brought together sponsors, founders and tree-lovers, who not only like what we do, but also trade their kilometers on foot and by bike in maples, oaks and larches. It starts with Patrick H. from Bochum, to whom we would like to send a huge thank you. He will forever lead our “Tree Lover List”. But for every tree you have to do something. More precisely, you have to cycle or run 500 kilometers in order to unlock 1 tree. In its lifespan your tree will extract about 300 kg of CO2 from the atmosphere, thus making an important contribution to protecting the climate and preserving our environment. The plantings are taken over by our planting partner IPlantATree.org. On their website everyone can look at the already planted trees, tree species and locations of the plantations.